They were called together from across the world, they were from London, Paris and all over the USA. At an average age of 25 they were young and just starting families but they upped sticks and followed their husbands. Dressed in their finest they landed in their new military homes, run down from the travel and beaten in the face by the dust that welcomed them. Some seemed to know more than others and they were aware there were words they could not say, censoring details of their life in conversations with their extended families that they left behind. None of the women knew it all though, then the bomb dropped and they realised what their husbands and friends had been working to create. 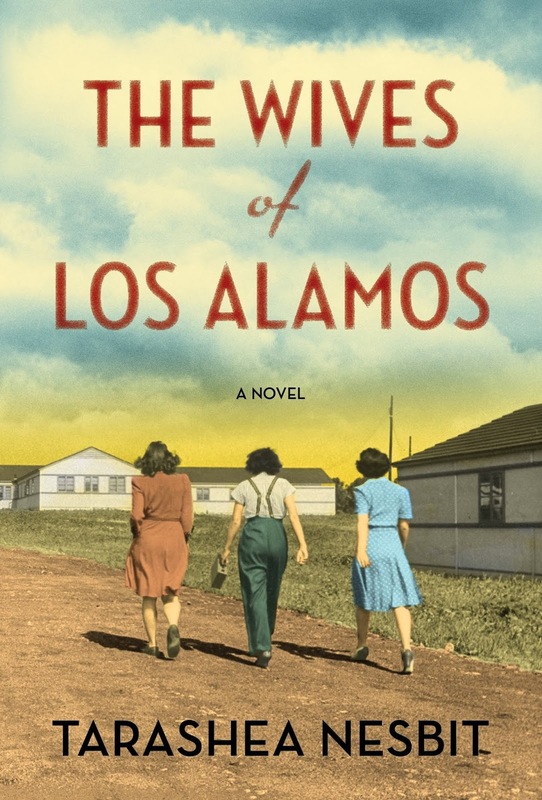 Written from a group perspective, this touching, true account of the women of Los Alamos (where the atomic bomb was created) gives an important insight into the secretive world they lived. Quietly supportive they all knew important, war-related work was being carried out so they dug into their new lives, made friends and created new families. A large percentage of this book is based on their lives before the bomb, how they settled into the area and the secrecy they were placed under. This is fascinating but it is the chapters after the bomb has been dropped that truly grab the readers attention. Families are torn between pride and shame, the husbands are unsure if they should be holding their heads high or hiding away from the world. This book takes no viewpoint and places no blame, it simply gives a snapshot of the family repercussions of a world-changing discovery. A powerful and unusual read, I found The Wives of Los Alamos by TaraShea Nesbit is an engaging and thought-provoking book that I thoroughly enjoyed.